I'm literally writing this whilst lying on a blanket in the garden on a beautiful sunny day here in Britain after a wonderful Birthday weekend. I don't get too excited about birthdays anymore but I do get excited about visiting new places and seeing new things and that's exactly what I did for my Birthday! I still get ID'd every.single.time I go to the supermarket to buy alcohol so I'm not feeling upset about getting older, just yet! Another friend has a birthday around the same time as me so we're all having a gathering Bank Holiday (yay, another one!) at the start of May for a belated Birthday drink fest. I can't stand working on my Birthday so I booked a long weekend off. We decided to take a trip to Trentham Estate in Staffordshire. 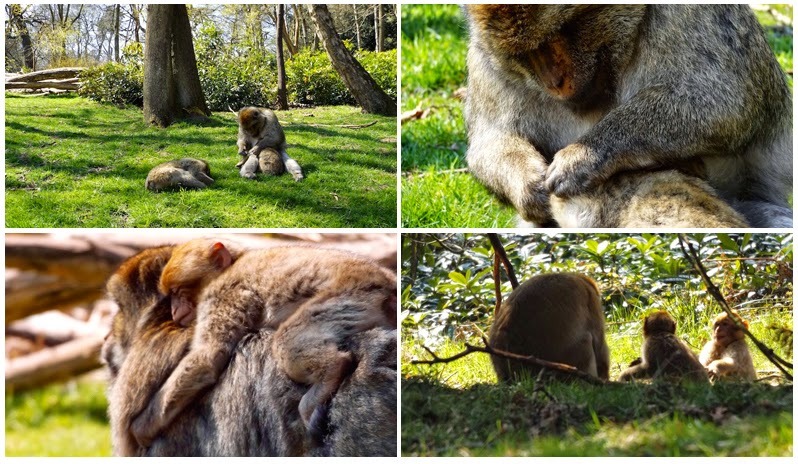 They have some beautiful award winning gardens, set in "725 acres, it is the last remnants of one of England’s great garden estates", there's an Aerial Extreme (high ropes adventure) and tranquil scenery but I initially went for... Monkey Forest! 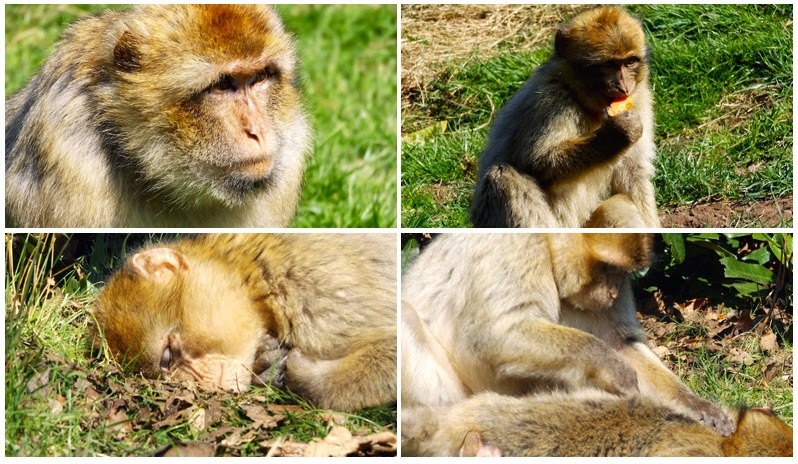 They have 140 barbary Macaques cheeky monkeys, all different ages and sizes. And guys... this is totally true. I was blown away at how close these little guys were. It was amazing. We got to see them chilling, grooming, sleeping, playing, swinging from tree to tree, feeding, talking to each other and even fighting at one point. It was truly magical and I was shocked how brilliant it was. This was totally the opposite of a zoo. 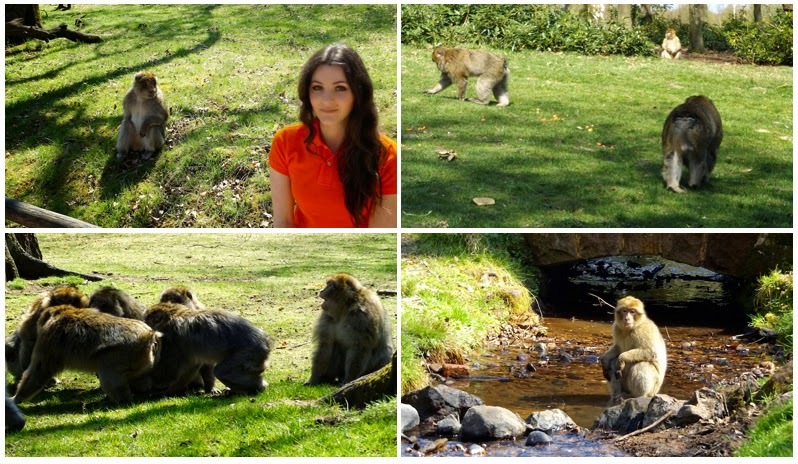 The monkeys were completely at ease, it was beautiful to see them acting so naturally. They weren't depressed sitting in the corner of a cage, they were lively. 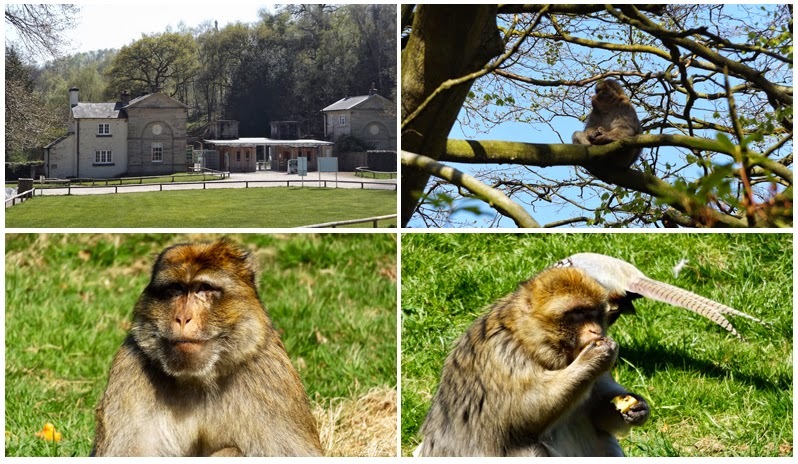 Monkey Forest, Trentham Estate, Stone Road, Trentham, Staffordshire, ST4 8AY. View in Maps. 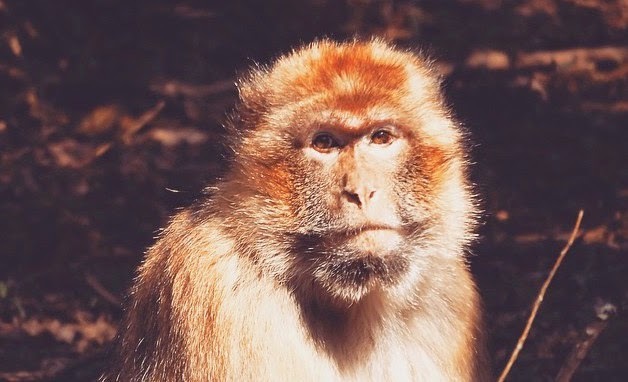 Visit the Monkey Forest website here, they are on Twitter and Facebook too!